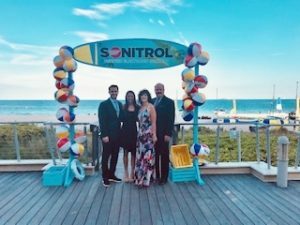 Sonitrol Security of Delaware Valley was well-represented at the national convention held at the Marriott in Fort Lauderdale, Florida from March 14 to March 16, 2019. They learned about new Sonitrol products and services that will allow them to make our customers secure. 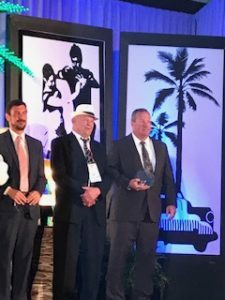 Steve Fox officially received his national sales award. He has received this honor before. Great job Steve consistently serving our valued Sonitrol Security customers. Photo left to right: Nick Allen, Kelsey Sierra, Brenda Allen and Joe Allen. 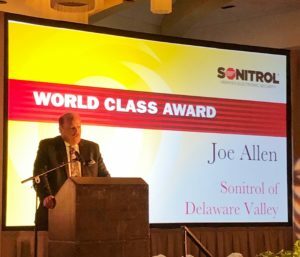 Joe Allen, Vice-President, Owner of Sonitrol Security of Delaware Valley was shocked when he received the World Class Award. This prestigious honor is given to one individual who has given tirelessly to the Sonitrol network and will go above and beyond. 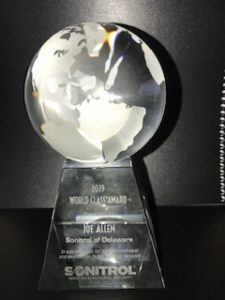 Here is Joe accepting his award. We are so proud of our leader. We look forward to sharing exciting information on future products and services.